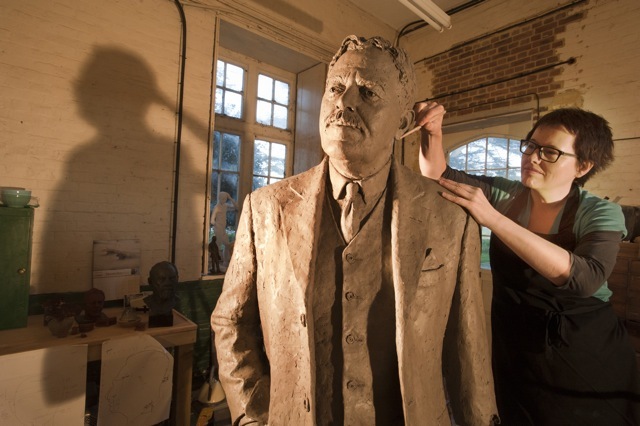 Award-winning figurative sculptor from Sussex, Hazel Reeves SWA FRSA, is set to unveil her statue of the great railway engineer Sir Nigel Gresley at King’s Cross station next month. 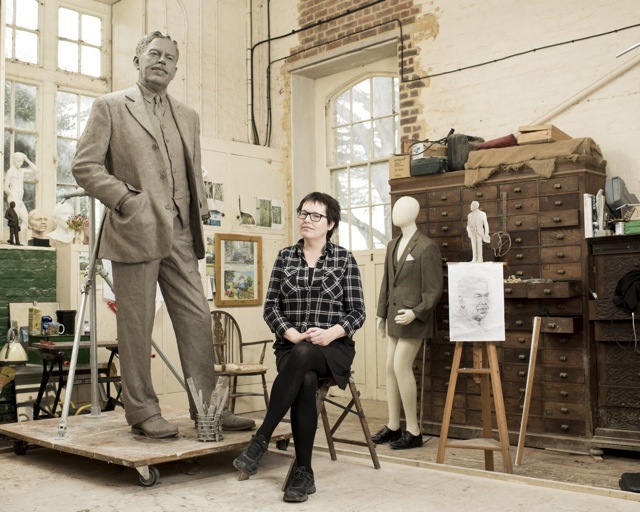 Commissioned by the Gresley Society Trust, Ms Reeves, who lives in Brighton, is putting the finishing touches to her stunning 7ft 4in likeness in bronze of the celebrated designer. Gresley’s Flying Scotsman was recently seen by thousands of fans as it travelled the East Coast Mainline, from King’s Cross to York, following ten years of restoration. Another of his famous steam engines is Mallard, which set an unbroken speed record of 126mph in 1938. Ms Reeves’ work has been exhibited in over 60 galleries and sculpture trails UK-wide and as well as teaching at Sussex Sculpture Studios and Phoenix Brighton she is the sculpture advisor for the Hove Plinth project. Ms Reeves’ statue will be unveiled on the 75th anniversary of Gresley’s death on Tuesday April 5 at 11am on the Western Concourse at King’s Cross station.